Pakistan have never won a Test Series in the West Indies before during 6 previous visits to the Caribbean shores. Pakistan and West Indies have played 44 Tests. Pakistan have won 15. West Indies have won 14. 15 have been drawn. The last time Pakistan visited was in 2005 where the score line was 1-1. The last time there was a test series between the two teams the score-line was 2-0 in Pakistan's favour during a series in 2006 where Mohammad Yousuf was simply outstanding. Overall, I am unsatisfied and rather unhappy with the results from the LO leg of the tour considering West Indies managed to win 3 out of the 6 LO encounters & this is a second string side too. Pakistan could and should have done better. Nonetheless, let's look ahead & focus on the Test Series with what lies ahead. Just a few observations worth highlighting. All matches during this series were won by the side batting second. Pakistan have played out a score line of 3-2 either way for the last 4 ODI series they have contested against England, South Africa, New Zealand and now West Indies respectively. Hafeez looks a really settled player now who is an integral part of the side with his increasingly consistent all round contributions. Many would consider him as the best "all-rounder" and overall cricketer in the current ODI line up nowadays. He deservedly received the MOM for the ODI series. Afridi's discipline, performance & attitude in this whole tour was totally unacceptable. The skipper failed to make any contribution in any department during the series & was totally lacklustre in terms of energy & motivation in the field which is far from what he usually is. His captaincy has been undesirable, his batting has been like a glorified tail ender whereas his bowling has been wicketless for 6 out of the last 7 matches he has played in & returns to a level of mediocrity after a superb World Cup. 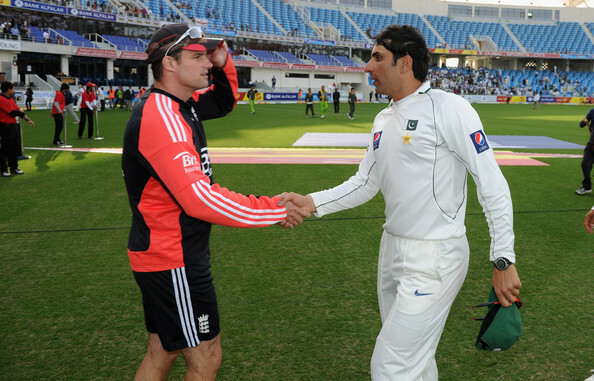 Hafeez is highly regarded as a possible successor for the captaincy role in the nearby future. He is known for his cricketing knowledge & ability to pass on suggestions which is a more than healthy reference. He has captained successfully domestically so has the necessary skills and exposure. Don't be surprised if you see Hafeez taking up the reigns of ODI captaincy within the next 18 months. For Afridi personally this is a series to forget whereas for Hafeez it is a reflection of how he has grown as a player since his comeback which has been second to none. This was a harsh and totally unfair decision as far as I am concerned. The keeper impressed with his neat & efficient glove work behind the stumps during the 4 Tests he played. He looked extremely tidy. He also made some valuable contributions with the bat. He must be puzzled himself because he did not do much wrong what so ever to be treated and axed in this manner. Whether they are linking his name with the negative image of his brother we shall never know, but as far as cricketing merit goes he can feel hard done by. Nevertheless, let's hope Salman is able to make a positive impression with both gloves & bat as he has now been selected as Pakistan's keeping option in Tests as well. He did well behind the stumps in the ODI series & made a nicely compiled 19* in the 5th ODI on a challenging pitch so there is certainly potential there from the little we have seen of him. He seems very active behind the stumps & reminds many of Pakistan's 1992 WC winning wicket keeper in Moin Khan. Can Pakistan Make It 4-1? What drama was witnessed. Unbelievable stuff. What a game changing moment from Dwayne Bravo to give the Barbados spectators something to celebrate about on a rain intervened May Day which was a national holiday in the region. Excellent awareness to the situation & brilliant execution in dispatching the rank log hop from the touring skipper into the stands. The reaction & emotions in the West Indies camp showed how much relief this consolation victory meant to them through Ottis Gibson & Darren Sammy who were very alert, animated & successfully got the message across to the batsmen in the middle. The West Indies have an opportunity to restore some further respectability by winning on Thursday in Guyana which will conclude the series at 3-2 & considering they won the sole Twenty20 international played in St Lucia on the 21st of April it will be a pretty good showing from their perspective with the inexperience they have, recent results they have had as well as the internal problems they have faced. However, as far as the tourists are concerned not winning the series at least 4-1 will be termed as a “failure” as they were firm favourites to win the series rather clinically, the in-form momentum they carried as well as their superior position on the ICC ODI rankings system. Thursday concludes the LO leg of the tour. So far all 4 wins in the series have been registered by the chasing side. Pakistan have an opportunity to win their 400th ODI which will be a significant land mark. They also have an opportunity to win 4 matches during a single ODI series in the West Indies which they have not achieved during any previous tours to the Caribbean. The first one day international played in Guyana was between West Indies & Pakistan in 1988 which West Indies won. The other time these two teams met in Guyana the result was a tie in 1993. Avoid dead rubber complacency. Time to get the job done and dusted.